• New keystroke actions: The [Space bar] Pauses and unPauses analyzer capture from the microphone. The [Enter] key brings up the menu for curve saves and Auto-polar-angle increment saves on Frequency Response tab. When capturing a series of Frequency Response measurements over a range of angles, just press [Enter] three times. 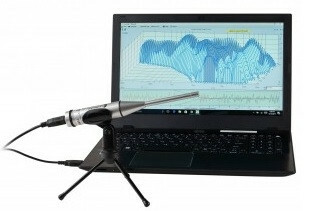 Please note: Omnimic software will not work with other measurement microphones. Omnimic software is "married" to the serialized calibrated Omnimic hardware. Software download is for Omnimic users that have lost or need to upgrade their software to the latest version. 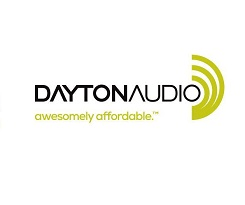 Should you have any questions or installation issues please contact Dayton Audio support or your place of purchase. Dayton Audio's OmniMic V2 was developed in collaboration with Liberty Instruments, inventors of the Praxis analysis tool. Powerful, versatile, yet easy to use, the OmniMic V2 Precision Measurement System will become an indispensible part of your audio toolbox—whether for testing individual speaker components or entire in-place audio systems of every description. The OmniMic V2 provides quick and accurate measurements that will reduce installation time, saving you both labor and money. The OmniMic V2's test signals may be initiated from the host computer, or from any audio CD player. 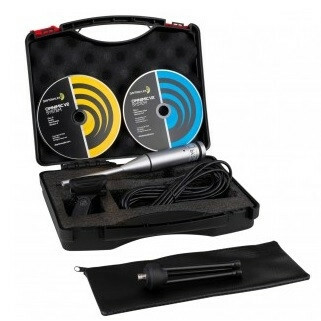 System includes calibrated USB microphone, rubberized mic clip, software and test signal discs, 6 ft. USB 2.0 cable, desktop tripod stand, and carrying case. Compatible with Windows XP, Vista, Windows 7, Windows 8, and Windows 10.